Successful automation begins with designing Tasks. 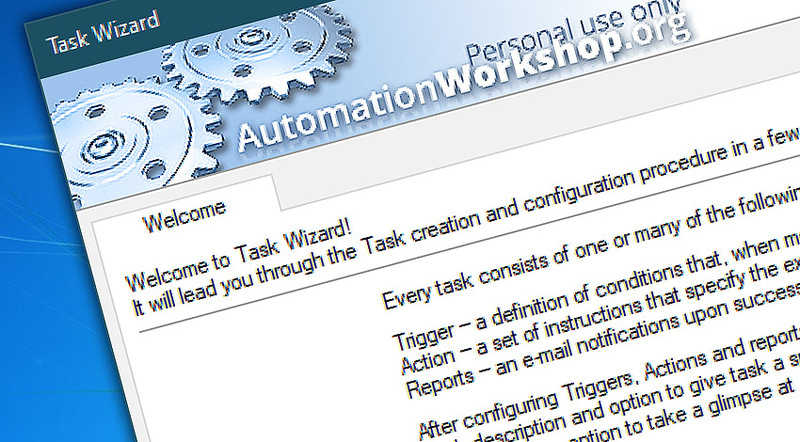 Automation Workshop features Task Wizard which assists user in every step of Task design. 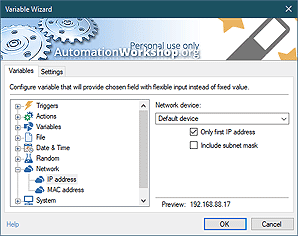 Task Wizard takes user through multiple options. First, it explains and reminds user the basic elements of Task structure. Next, the functional elements such as Triggers and Actions are added and configured. Then the Task is assigned user credentials to run in system and email reports are selected. As a last step before its activation, the Task is given its unique name and description (and, optionally, advanced options are fine tuned). Task Wizard simplifies Task design by breaking the complex activity into basic steps. Easy access to all Task elements and options. Logical sequence in Task designing. Intelligent defaults that mostly work without modification. Configure Task success and failure email reports. Overview · Task Wizard explained. Run As · choose user credentials for running the Task. Reports · setup Task completion reports. Task properties · Task contents and structure. I would like to thank you for offering Automation Workshop for free. It has really helped me automate some really boring stuff. —Bob G.